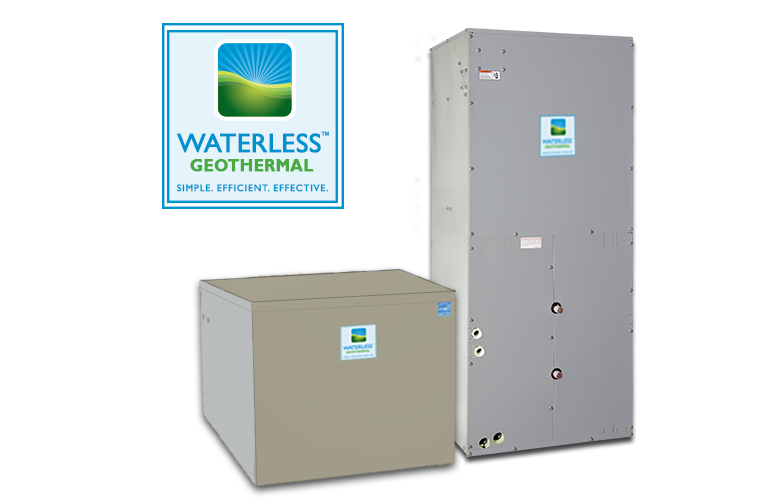 Waterless™ DX Geothermal Systems are able to provide your home or business with ultimate comfort and efficiency all year round… all in one system. You can even see a reduction of up to 70% on your utility bills and contribute to saving the environment just by installing a system in your home today. Any property, regardless of its size or age can have a DX Geothermal System installed. Our product series allows you to benefit from one, all-inclusive geothermal system that will optimize your energy consumption. Made in the USA, our leading industry solution for environmentally conscious homeowners begins with the Air, Multi-functional, and Hydronic Series. We designed a simple, four-step plan to get a Waterless™ Geothermal System for your property. Your Waterless™ Geothermal System is built specifically for your needs, taking into consideration, the design application, your space limitations, geography and energy saving goals. 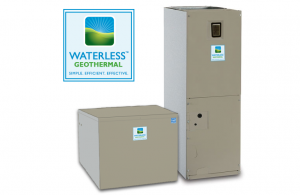 The Waterless™ Geothermal Systems gets installed by your contractor to fit your specific needs. Unlike most geothermal technologies, Waterless™ DX Systems allow for a non-disruptive installation process. Smaller equipment and minimal yard space allow for minimum customer delays. For your protection, we provide warranties on our products and contractor support.